Patient Safety Highlights 2018 - Personalizing Culture of Safety-What Does It Mean for Each of Us? THIS IS AN ONLINE ACTIVITY. Hard copies are not available. Defining the culture of safety and elements that contribute to successfully implementing it. The American Society of Anesthesiologists is accredited by the Accreditation Council for Continuing Medical Education to provide continuing medical education for physicians. The American Society of Anesthesiologists designates this enduring material for a maximum of 3 AMA PRA Category 1 Credits™. Physicians should claim only the credit commensurate with the extent of their participation in the activity. This activity contributes to the patient safety CME requirement for Part II: Lifelong Learning and Self-Assessment of the American Board of Anesthesiology’s (ABA) redesigned Maintenance of Certification in Anesthesiology Program® (MOCA®), known as MOCA 2.0™. 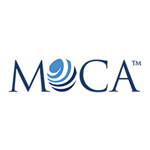 Please consult the ABA website, www.theABA.org, for a list of all MOCA 2.0 requirements. Disclaimer: The information provided at this activity is for continuing education purposes only and is not meant to substitute for the independent medical judgment of a healthcare provider relative to diagnostic and treatment options of a specific patient's medical condition. Identify key elements that contribute to a culture of safety. All members of the anesthesia care team. All faculty, planners and staff have disclosed no relevant financial relationships with commercial interests. The American Society of Anesthesiologists remains strongly committed to providing the best available evidence-based clinical information to participants of this educational activity and requires an open disclosure of any potential conflict of interest identified by our faculty members. It is not the intent of the American Society of Anesthesiologists to eliminate all situations of potential conflict of interest, but rather to enable those who are working with the American Society of Anesthesiologists to recognize situations that may be subject to question by others. All disclosed conflicts of interest are reviewed by the educational activity course director/chair to ensure that such situations are properly evaluated and, if necessary, resolved. The American Society of Anesthesiologists educational standards pertaining to conflict of interest are intended to maintain the professional autonomy of the clinical experts inherent in promoting a balanced presentation of science. Through our review process, all American Society of Anesthesiologists activities are ensured of independent, objective, scientifically balanced presentations of information. Disclosure of any or no relationships will be made available for all educational activities. 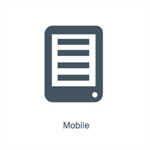 Adobe Acrobat Reader, Internet connection, Media Player. Web browser version must have been released within the last three years. 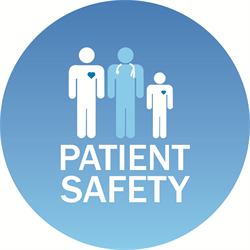 Back to Patient Safety Highlights 2018 - Personalizing Culture of Safety-What Does It Mean for Each of Us? Defining the culture of safety and elements that contribute to succesfully implementing it. Log into see if you qualify for a lower rate.